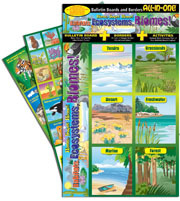 These innovative bulletin board sets make bulletin board creation easy for teachers and educational value high for students! 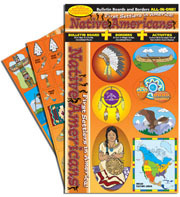 Each new All-In-One bulletin board set includes more than 30 individual bulletin board pieces, 20 feet of attractive educational border, and an activity for students that involves making an item that teachers can put up as part of the bulletin board display! These bulletin boards are creative and colorful while also being highly educational and unique. 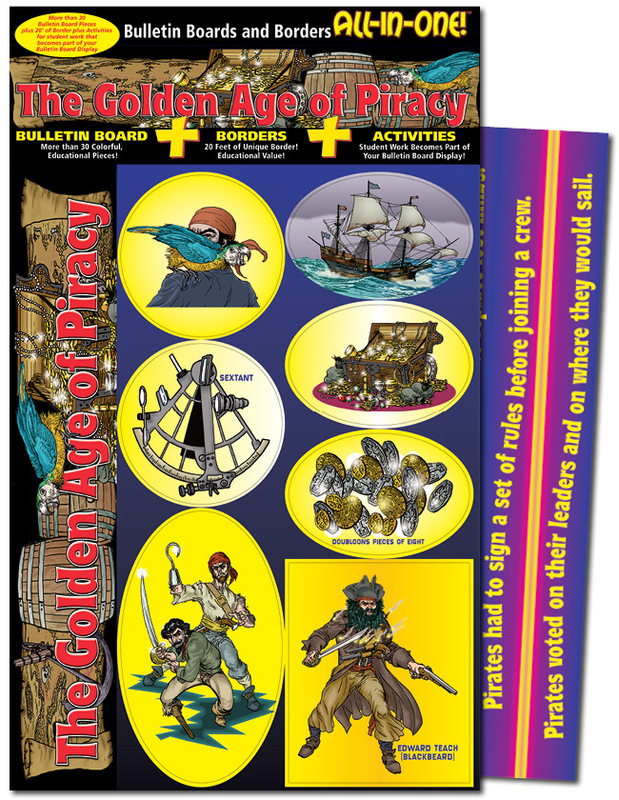 Both elementary and middle school teachers will love them; in fact we give both an elementary activity and a middle school activity as the student-work portion for each bulletin board! 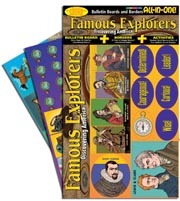 Teachers love these and will want to buy lots of the All-In-One sets so they can swap them out as they study and celebrate different events throughout the year! Saves time! Saves money! Looks great! Creative and fun! Interactive student involvement! High educational value! Great visual to help meet state social studies standards. Click HERE to download the Elementary activity (approx. 285 KB). Click HERE to download the Middle School activity (approx. 299 KB).